Below is a collection of links to Newspaper stories that have covered NonViolent actions by member’s of our group. 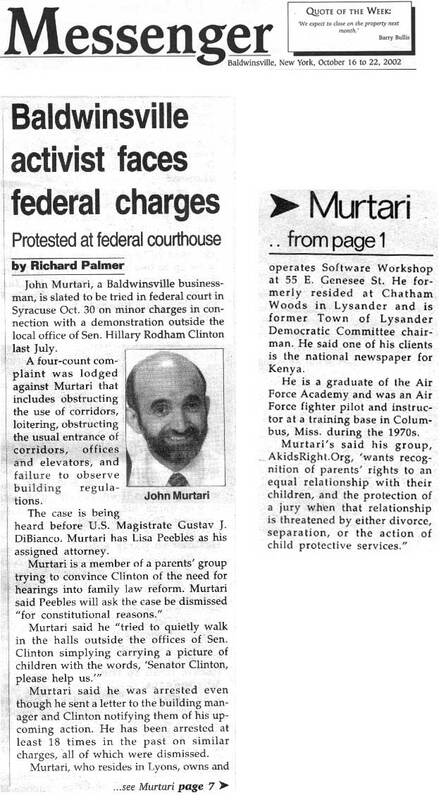 This brief summary just contains the date of the incident and the Newspaper name/region. To get complete details go to our Events page and find activity corresponding to that time frame. To see TV reporting and interviews, visit our Audio/Video Page. 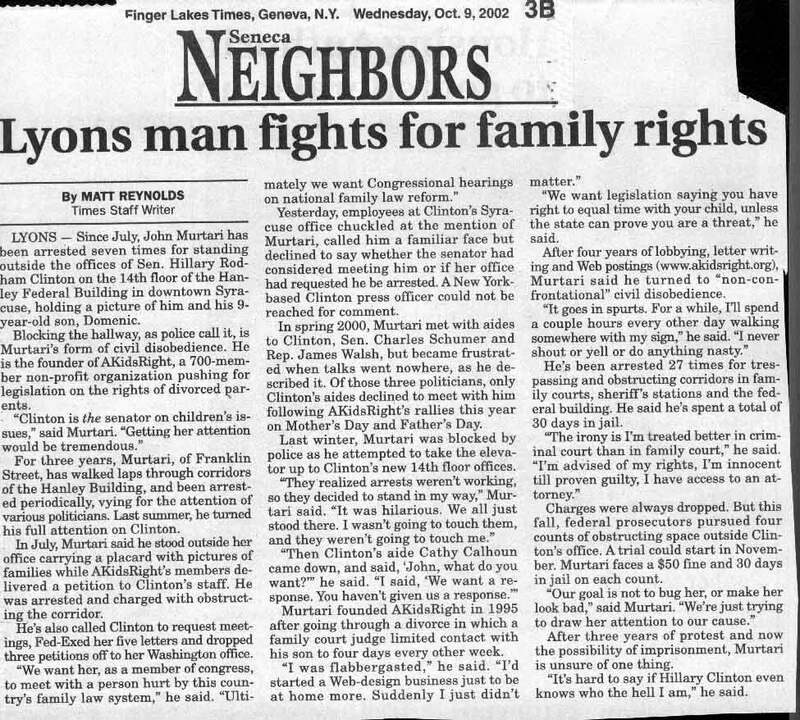 February 2010 – Newspaper report on action for Family Rights – parents have a right to know they have a child. 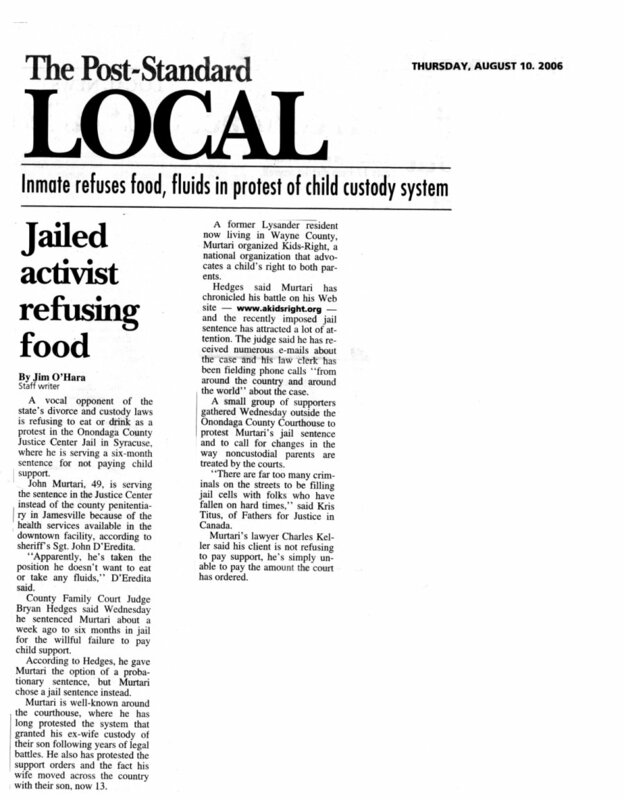 Sep 2008 – Standing up for your beliefs. 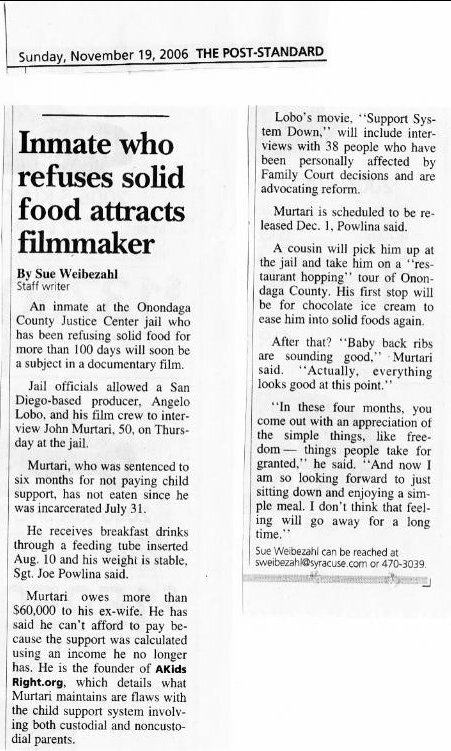 July-Dec, 2006 – Loving parent sent to jail for being in contempt by ‘willful violation’ of a support order. 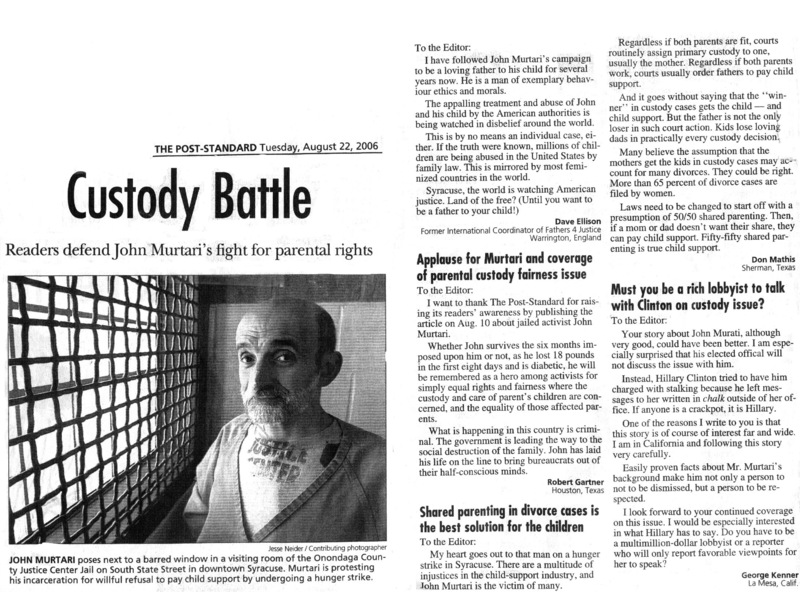 Nov, 17, 2004 – John Murtari sent to jail on a Federal Sentence to the Auburn County Jail. The conditions are terrible. 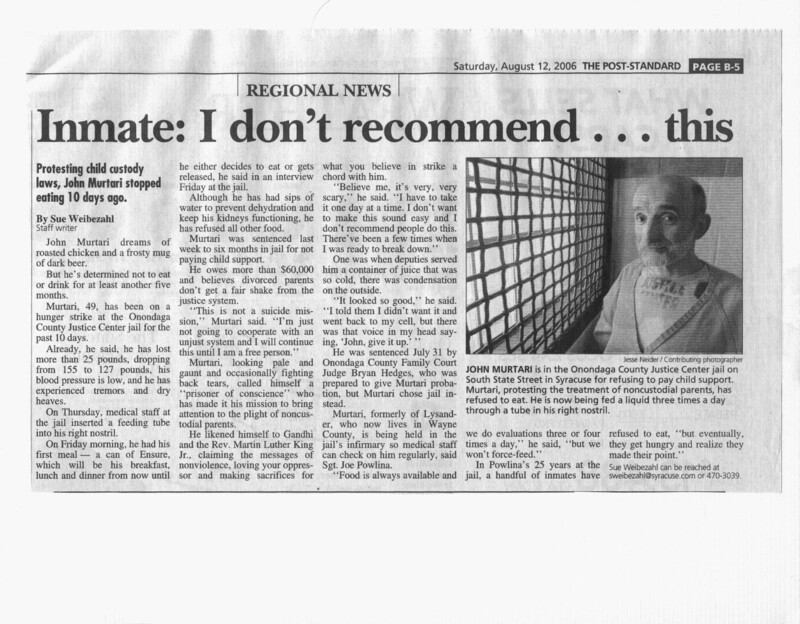 He gets the prisoners to complain and a reporter interviews him in the jail.